Looking back at a transformative year with an eye toward sustained growth, inspired projects, and powerful community voices in 2017 and beyond. ’Tis the season for reflecting and rejoicing, and Women’s Global Empowerment Fund (WGEF) has serious cause for both. While we all take stock of what we’ve accomplished and the possibilities in the coming year, it’s important to appreciate what really matters—and truly, WGEF has had a year that matters. Here, five questions for WGEF founder and executive director Karen Sugar as she shines the spotlight on 2016. Why was this year such a landmark for WGEF? 2016 was a big building year for us to get some of our programs fully operational and moving forward at a good pace. We continued to have really solid funding after a catch-up year in 2015, when some of our programs were still in development. In 2016, our Healthy Periods Initiative became fully operational; we bought a building and opened the Gulu Women’s Resource Center; we doubled the size of our literacy program to 416 women; we did a lot of education and outreach; and we hired a couple of new people to help with these projects. What is the Healthy Periods Initiative, and how does it support forward momentum for women in the region? Menstrual health challenges that women face in the Global South are something that many people never even think about, because they don’t know any different. But if you live on less than $2 a day, or even $5 a day, you can’t afford proper menstruation or sanitation products. Instead, women use mattress stuffing, leaves, newspapers, or rags—things that are unhealthy, inappropriate, and undignified. If you don’t have running water or access to latrines, the situation is worse. 70 percent of reproductive medical issues are caused by poor sanitation around menstruation, not to mention that women miss an average of 70 to 90 days of school every year because of poor access. There’s some stigma attached as well, so it becomes daunting and puts them at an even greater disadvantage in the education system. The Healthy Periods Initiative is about equality, justice, and dignity. Our goal was to make something that was almost biodegradable, affordable, and accessible. We did a lot of research and found someone in India who’d created a machine and a process. Although it took two years to secure the funding to do it right, we ordered the machine and started creating product with approval from the regulatory agency in Uganda. 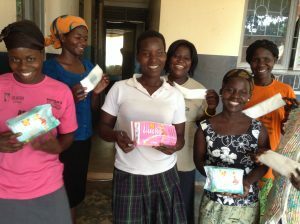 The first group of women is made up of 15 young mothers who are now selling the pads with marketing materials, packaging, and branding. 30 percent of the product they make is donated; we provide product to Gulu Women’s Prison and to schoolgirls who can’t afford it. We’re looking at potentially getting another machine and expanding to make product for the refugees coming from South Sudan. 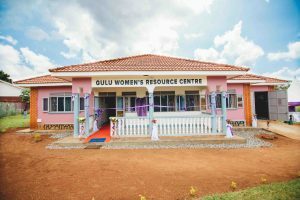 Tell us about opening the Gulu Women’s Resource Center. That was a big part of our year. 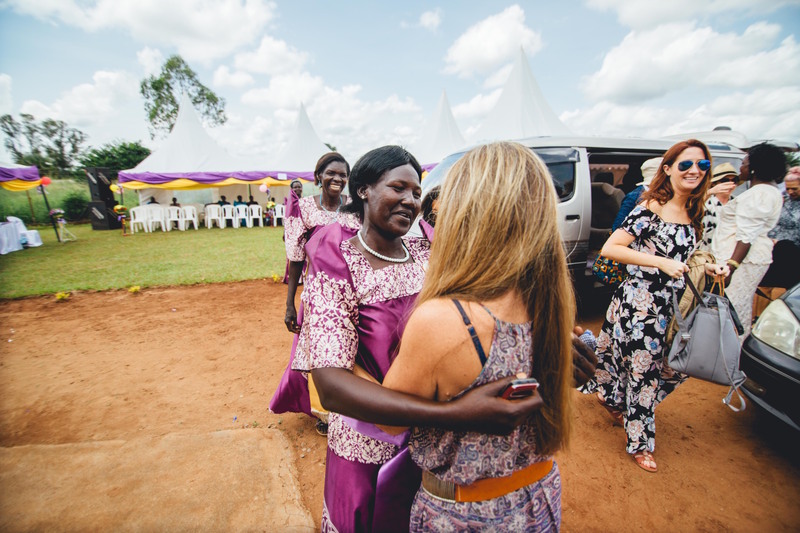 I went to Uganda to buy a building to create space that could be a one-stop information and support center for women in the region—and to potentially house our microfinance programs. As I started developing this concept of what a community resource center should be, I backed away from including our microfinance initiative. Here’s why: Globally, the “public square” concept and protection of free speech is shrinking. The public square—meaning community space or democratic space—doesn’t exist in many parts of the world. In a post-conflict region, it’s critical that people have the space to gather, communicate, discuss, and create solutions for the challenges they face. So I started to focus on the importance of that. The center became more about amplifying women’s voices, hosting community discussions and dialogue, and mobilization. 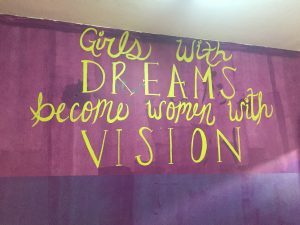 Although we have some management oversight in the administrative operations, this community resource center belongs to the women and leaders of the community as far as the agenda and day-to-day activities go. It’s unique and beautiful and provocative. I didn’t want it to be about money or to be financialized. I wanted to leave that piece out. It’s also 100 percent solar—a great example of what’s possible when you harness that wonderful, strong, powerful African sun. It’s a refreshing change in Gulu where, as in many parts of African countries, you don’t have consistent electricity or power. Half the time the power is out, and you rely on a generator, which uses oil and dirty fuel. Solar should be the direction. When we opened it in October, the excitement, the pride, the sense of investment…it was just a little bit different than anything else we’ve done. It’s really become a hub: Our peer counselors meet there almost daily; our Access To Justice team has its office there and they are incredibly busy; and our computer lab is up and running. It’s a busy place with a lot of interesting things going on. How has the community been using the Center to create change? One great example concerns the region-wide sale of a dangerous alcohol laced with nefarious substances, which was causing havoc, violence, and even death. Alcohol abuse is a huge problem in Gulu, especially with men, because there aren’t jobs. Gulu is still a very tough place, still recovering and still tender. For men, there aren’t many opportunities. And since everything there is pretty much the informal sector, this substance wasn’t being sold in shops. It was completely under the rug, in the shadows, and the people producing it knew it was highly addictive, but they were making a lot of money. Our leaders and others started meeting and mobilizing at the Center to build a campaign and organize protests and marches; ultimately, they created legislation, brought it to the Gulu District Council, and got it passed. That substance is now banned and controlled. The Center has become a hub of mobilization and advocacy for successes like this. I’m always inspired by what goes on there. This is where people can create solutions for challenges to move their own communities forward. I’m so committed to that. When people and communities can come together and decide for themselves what the challenges are and find solutions to meet them—that’s sustainable. That’s justice. Creating this kind of space is so vital. 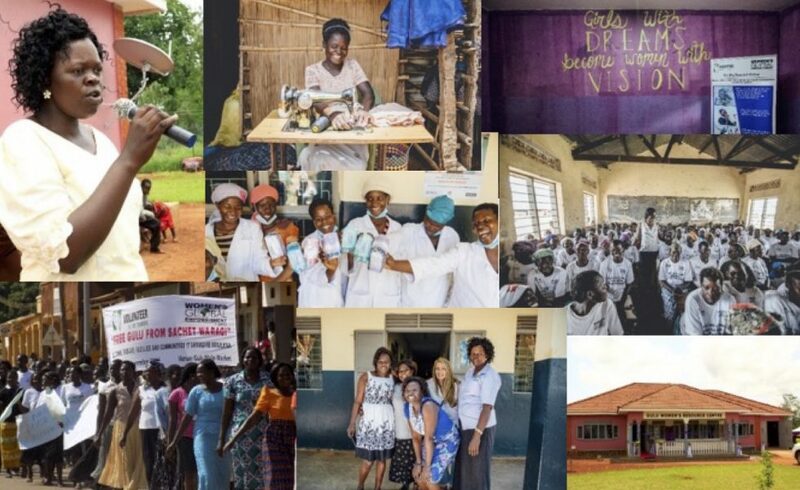 Looking forward to 2017: What’s next for Women’s Global? 2017 is going to be a big year. We’re going to do a weekly radio show called the “Women’s Assembly Hour”: a half-hour radio program where women come on and discuss challenges, events, community happenings, issues, elections…anything…as well as a call-in segment. Radio is a super effective medium of communication there. We’re also going to expand our literacy program to 1,500 women, nearly quadrupling our literacy capacity. That’s huge. We have amazing staff and the infrastructure to do it, and even better, the Ugandan government just finished a program that trained thousands of literacy teachers, and they’re now looking for jobs. It’s perfect: We have a pool of freshly trained professional literacy teachers that need work. We’re going to go to five or six literacy centers around the region. And, we’re going to expand our loan portfolio to 2,500 new loans in addition to the second-cycle loans. A third of our portfolio will continue to be agriculture projects, which are growing in scale, creating local food production and local markets, and really shaping food security in that region. When I was there, we spoke with some women who have created a food supplier business. We watched these guys loading tons—and that’s not hyperbole, that’s actual tonnage—of beans, corn, sim sim, and all kinds of products into their truck. It’s not just local anymore; they’re even going into South Sudan and providing food. It’s huge. They are such savvy businesswomen. They take these small loans and create these amazing entrepreneurial endeavors, supplying large swaths of the region and country now, and reaching into neighboring countries. We’re reaching deeper so they can reach deeper. And it’s pretty amazing.